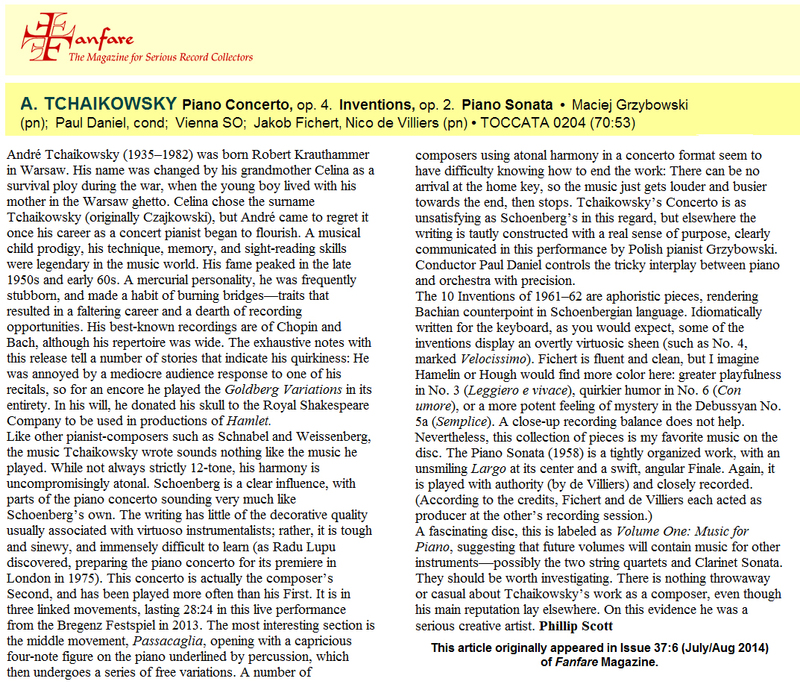 This webpage provides information about the André Tchaikowsky Sonata for Piano (1958). The text is from the book, The Other Tchaikowsky - A Biographical Sketch of André Tchaikowsky. 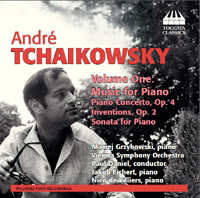 The Sonata for Piano (1958) was performed by pianist Nico de Villiers at a symposium and concert honoring the 78th birthday of André Tchaikowsky on November 1st, 2013, and shortly after, recording the Sonata for Piano (1958) for a CD recording (see below). 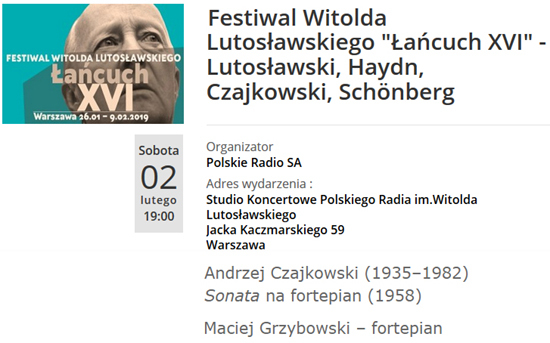 The Festival of Witold Lutoslawski "Chain XVI" included the Sonata For Piano, played by Maciej Grzybowski. The date and time was February 2, 2019 at 7:00 pm. Click Here for concert information. 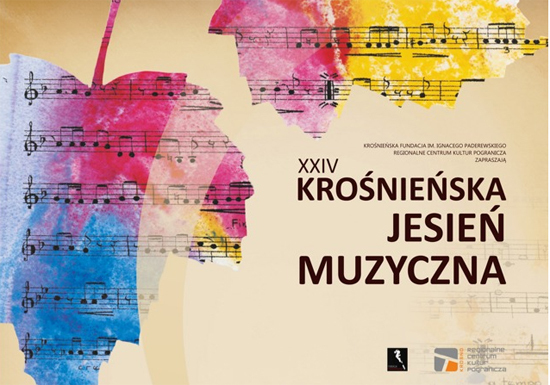 The XXIV Krosno (Poland) Music Autumn Festival has announced the performance of the Sonata for Piano, which will be played by Maciej Grzybowski. The date and time is September 26, 2017 at 7:00 pm. Click Here for concert information. 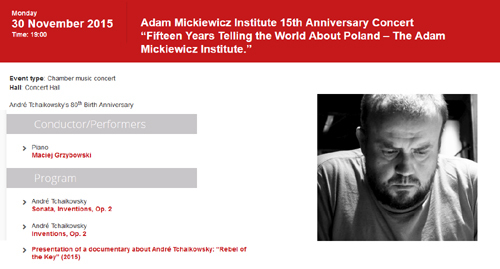 Adam Mickiewicz Institute 15th Anniversary Concert Fifteen Years Telling the World About Poland  The Adam Mickiewicz Institute, in combination to celebrate the 80th anniversary of the birth of Andre Tchaikowsky, has announced a concert featuring the Sonata for Piano. 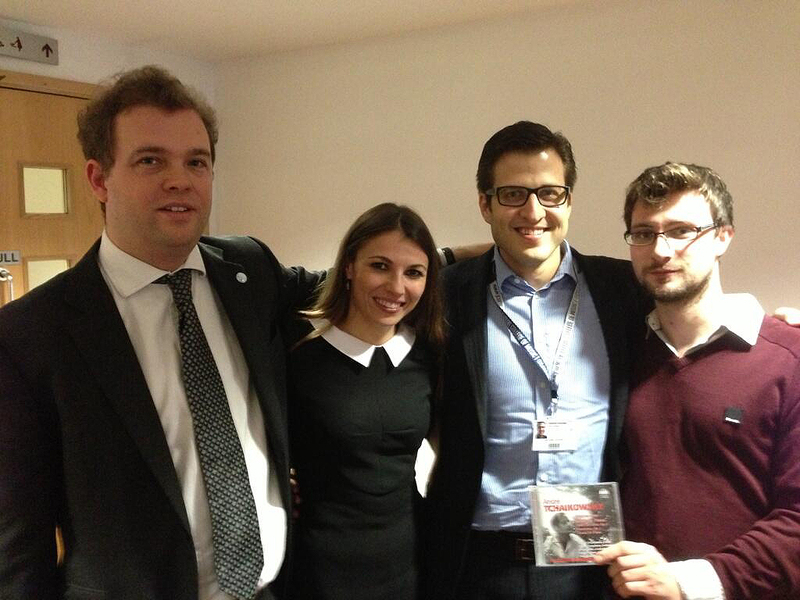 The pianist will be the outstanding Polish musician, Maciej Grzybowski. Click Here for more concert information, which takes place in Warsaw on November 30th, 2015. 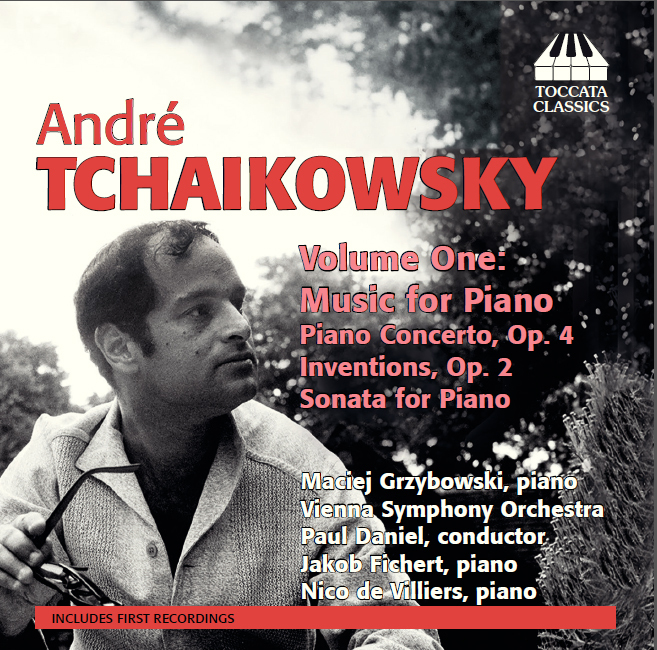 Toccata Classics released CD TOCC0204 on November 1, 2013, the first commercial recording dedicated entirely to the compositions of André Tchaikowsky. Included are the Sonata for Piano (1958), featuring pianist Nico de Villiers, the Inventions Opus 2 (196162), played by pianist Jakob Fichert, and the Piano Concerto Opus 4 played by pianist Maciej Grzybowski with the Vienna Symphony Orchestra conducted by Paul Daniel. Performers and contributors (left to right) Jakob Fichert, Anastasia Belina-Johnson, Nico de Villiers, and Mark Rogers (recording engineer for the Toccata Classics CD). 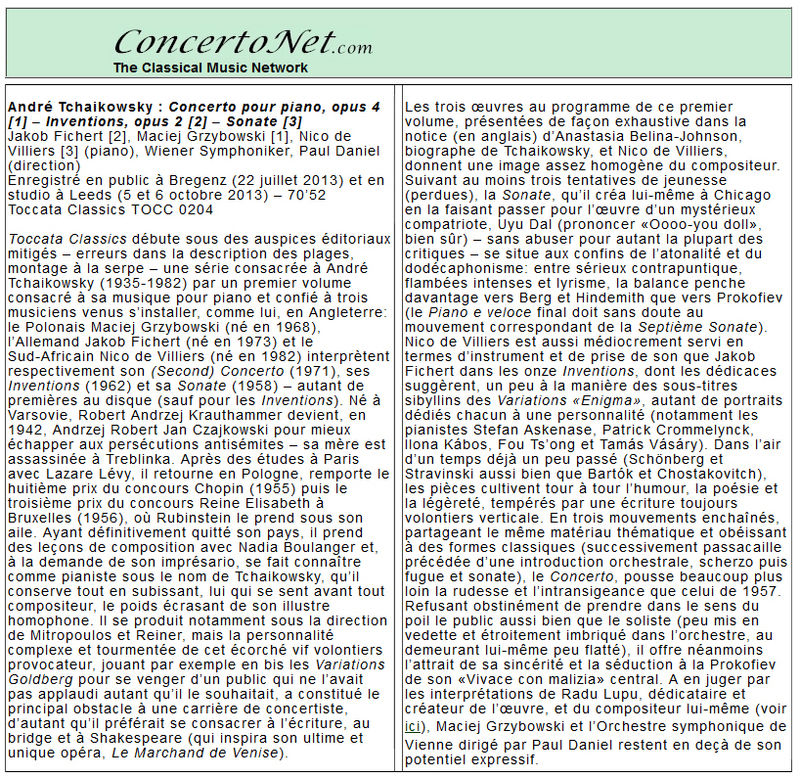 Music Samples (courtesy Toccata Classics), Nico de Villiers, piano. "We were in a Madrid hotel, where I was having a vacation with my family and André. I decided that we should all go to a bull fight together, but André hated that idea. So everyone else went to the bull fight and André stayed behind at the hotel. Well, he was composing a piano sonata and had finished the first movement, or something. He decided that Rubinstein should hear it. The hotel had a piano, so André could play it over the telephone for him. André telephoned Australia, and tracked down Rubinstein who was there on tour. Then André played the piano over the telephone so Rubinstein could make comments. The cost was enormous, which André put on my hotel bill!" 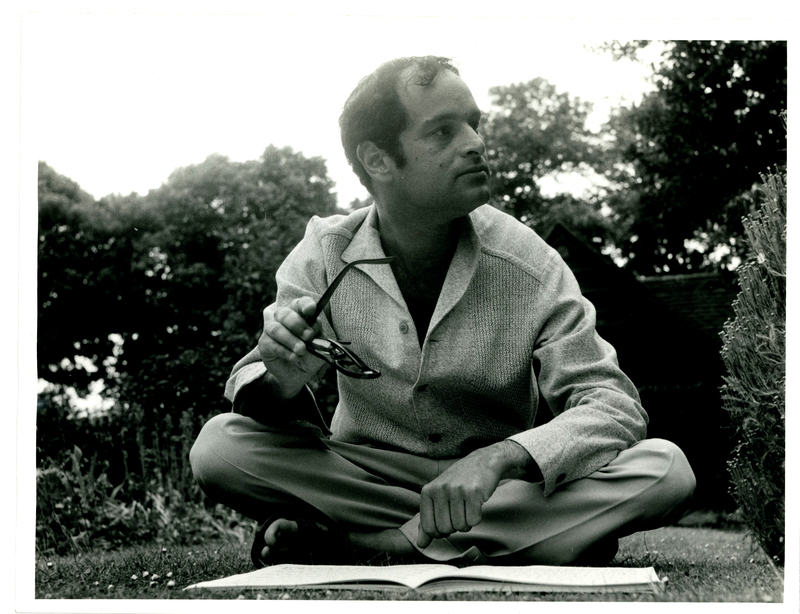 André told friends that while he was practicing on the hotel piano, located in the ballroom, people started to come in and listen. Then he switched from Bach to his newly composed Sonata for Piano, and everyone filed out until the ballroom was once again empty. 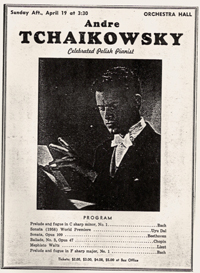 Chicago American (Roger Dettmer) - [André Tchaikowsky gave] the world premiere of a sonata (1958) by Uyu Dal. The latter carpenter would seem to be a countryman of Mr. Tchaikowsky whose name, for want of a glossary or further program identification, could be pronounced "Oooooh-you-doll." Or it could not. No matter, since it's altogether likely -- on the basis of Sunday's musical evidence -- that Mr. Dal will never again be heard in Chicago. 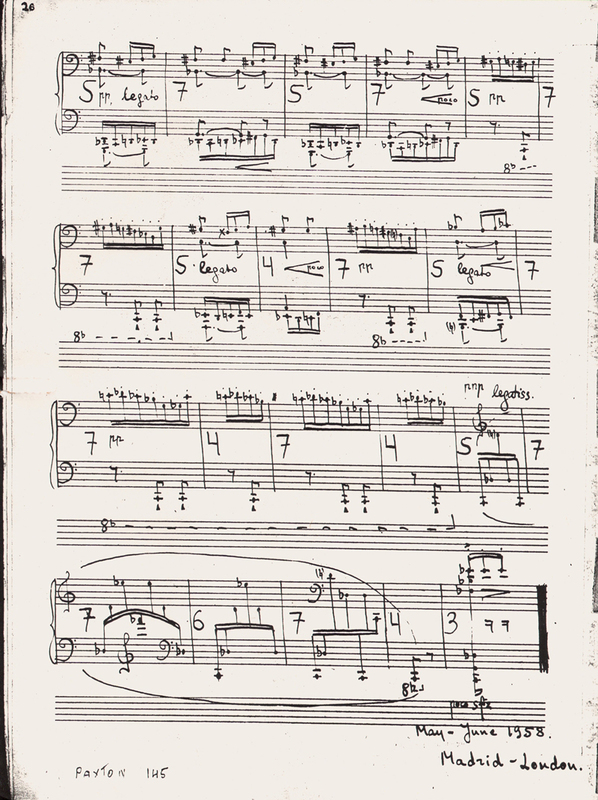 That's the kind of piece Sonata (1958) is. The first movement (Non troppo presto) opens in a diatonic-dissonant vocabulary, like any of 200 other contemporary piano works you've heard in this idiom. There is a glint of lyricism in the second movement (Largo) but Mr. Dal has overdecorated his basic materials to such a degree that expressivity died aborning. 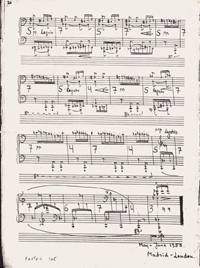 The finale (piano e veloce, which was, as played Sunday, veloce but not piano) is a latter-day relative of Chopin's finale to the B-flat minor Sonata. There are semi- (or should I say pseudo-) atonal passages of needless difficulty, and pages of busy, busy writing that are not, however, very actionful musically and only at moments moving. Musical Courier (R.L.) - A new Sonata by Uyu Dal was performed with enthusiasm and understanding: it deserves another hearing by Chicago audiences. 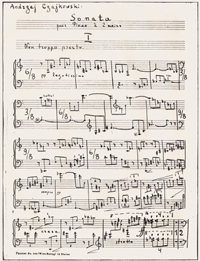 Chicago Daily News (Don Henahan) - An intriguing oddity of the program was a Sonata (1958) by Uyu Dal, identified only as a contemporary Polish composer. Rumor has it that Uyu Dal and Tchaikowsky are the same, and since the pianist will say only that he "found the score" somewhere, rumor may be right. 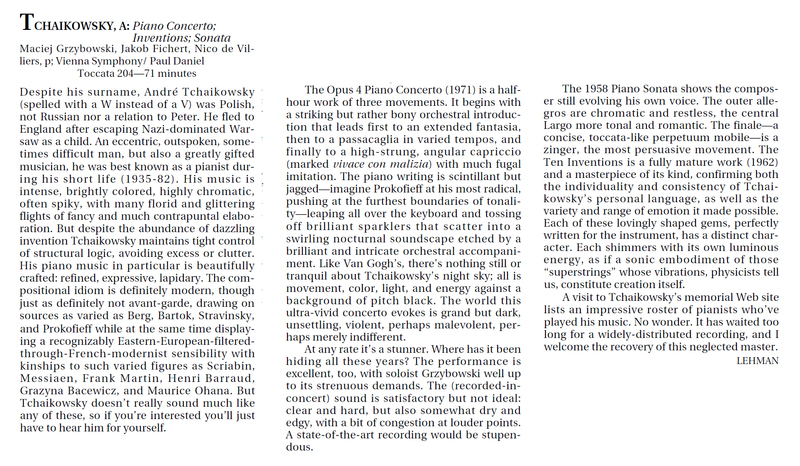 The sonata, in support of this, was youthful in sound, with occasional "shocking" explosions but hardly a fully developed idea throughout. Chicago Daily Tribune (Seymore Raven) - A modem work on the program was a just completed Sonata (world premiere) by Uyu Dal. The feeling persisted that Dal is Mr. Tchaikowsky's pseudonym. A companion feeling was that in composing this music, Dal was very much inspired by Prokofiev but much more gentle in temperament despite the very brilliant pianistic idiom that darted in and out of the terse, quicksilver scoring. André never played the Sonata again. The score is dated, "May/June 1958. Madrid - London." 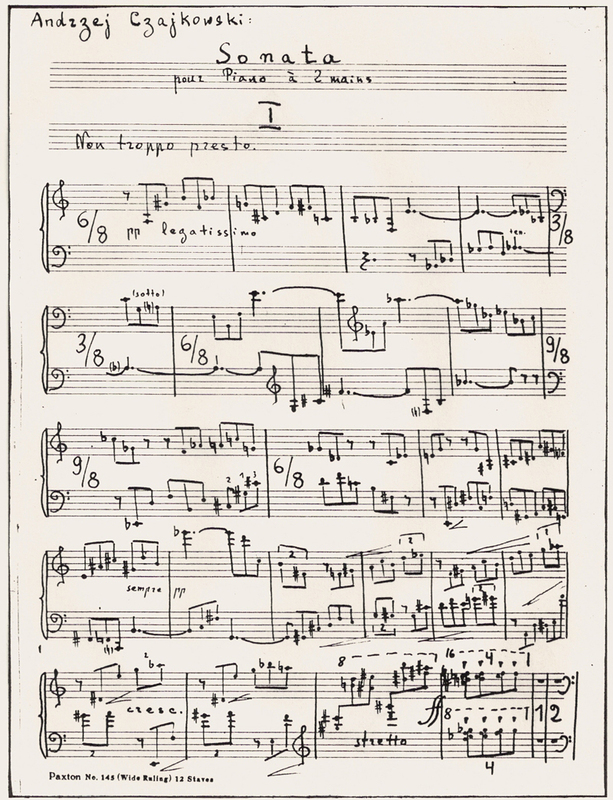 The original manuscript is in the Josef Weinberger Archives.